Every week, during my link party, I like to visit each post. I have to tell you I really enjoy it. There is always so many beautiful projects out there and super great recipes. I would like to finish this week giving credit to the top viewed links of this week's party. We had some really fabulous entries and I thank each and everyone of you for linking and visiting. The top viewed link was Sonny's from 155 Dream Lane. 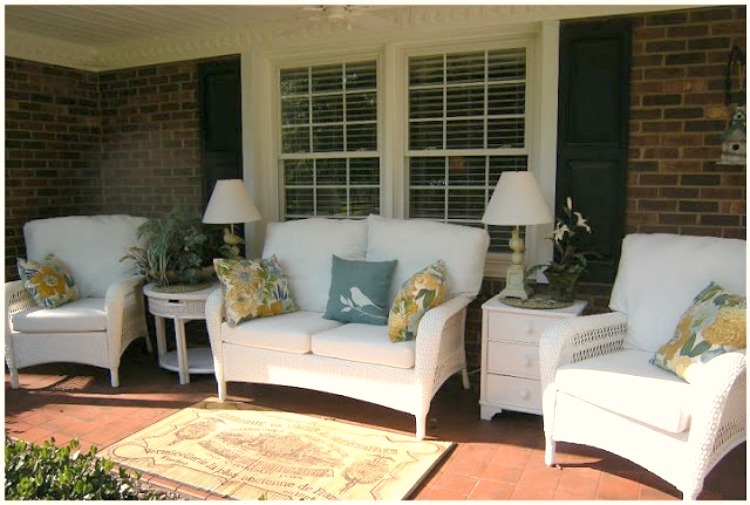 She has spent most of her Summer making changes to her front entrance and porch and the results are just magnificent. Gorgeous curb appeal! Shelia from Note Songs made a beautiful Tilda doll. This is her June Cleaverish Tilda and I have to say it just couldn't be any more adorable. Holly from The Coconut Head's gave her Mamma's Command Center a whole new look. 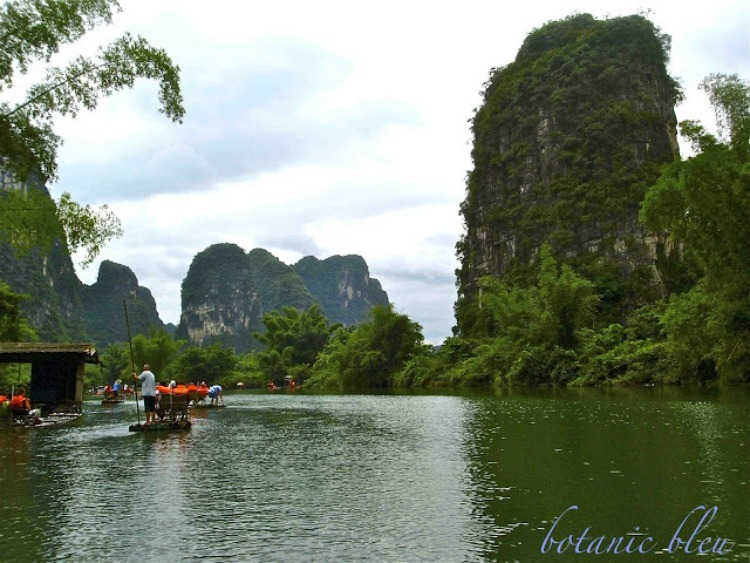 Judith from Botanic Bleu shared with us some beautiful pictures of her once in a lifetime trip to China. She gave us a glimpse of the every day life of the people of that country. Gorgeous images! Amazing Cristina from Remodelando la Casa did another one of her super fabulous projects. 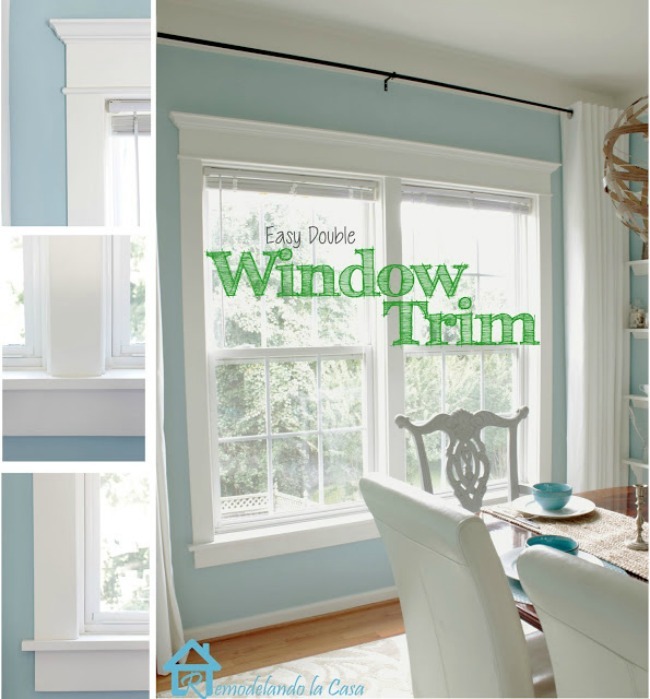 She installed trim on a double window of her home and gave us a full DIY tutorial. Gorgeous!!! 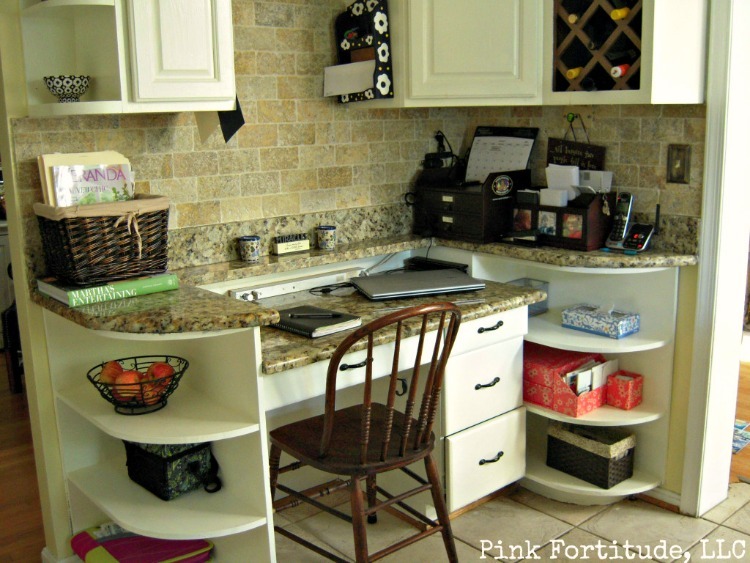 Patty from Home and Lifestyle Design shared with us how she created a beautiful office space for herself using things she already had at home. So pretty! And that concludes this weeks most viewed post. for another fun get together. 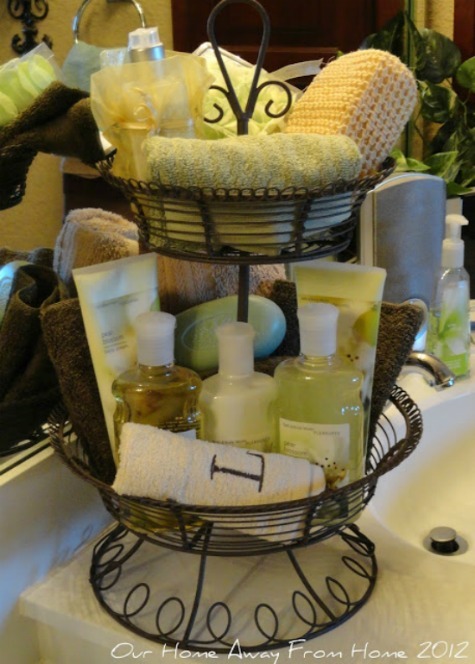 It all came to me when I realized that a post I did in March on 2012 on the tiered basket I put together for my master bathroom has been the #1, most visited post every week since, with over fifteen thousand views. 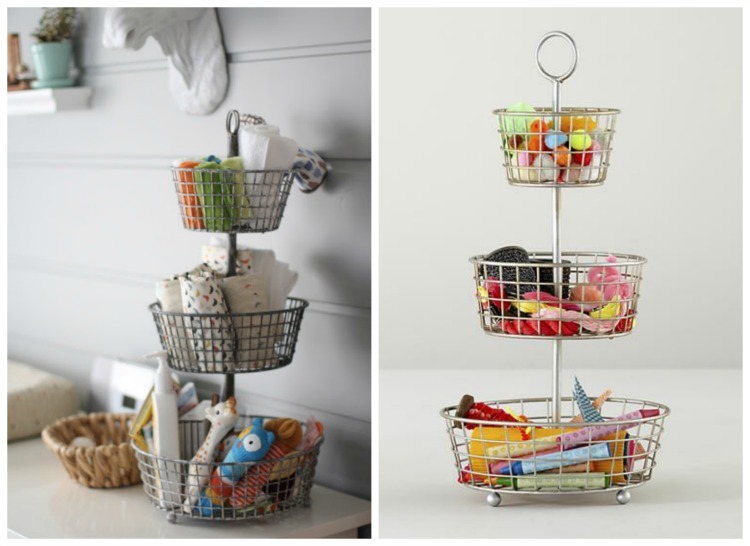 I have been looking around on Pinterest, Google and blogs trying to get ideas and inspiration on how other people are using these baskets and I thought I share those ideas with you all today. I added a link under each picture to give the due credit and so you can visit these pages if you like. 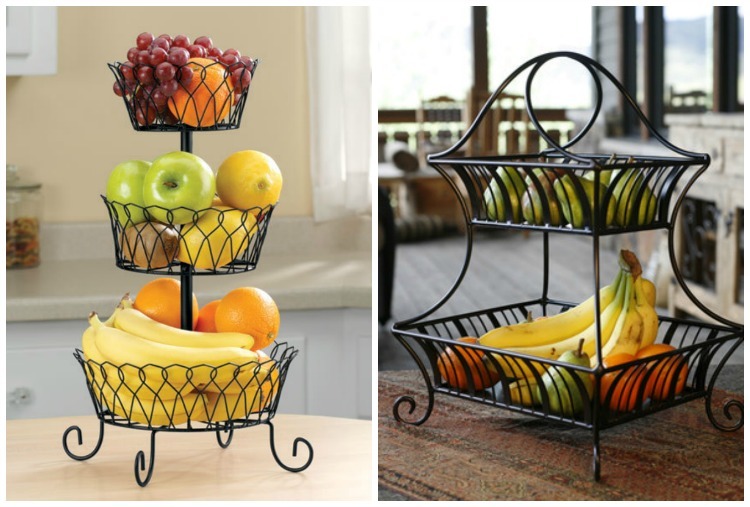 I think the most common way we always used these baskets in the past was to hold fresh fruit in our kitchens. 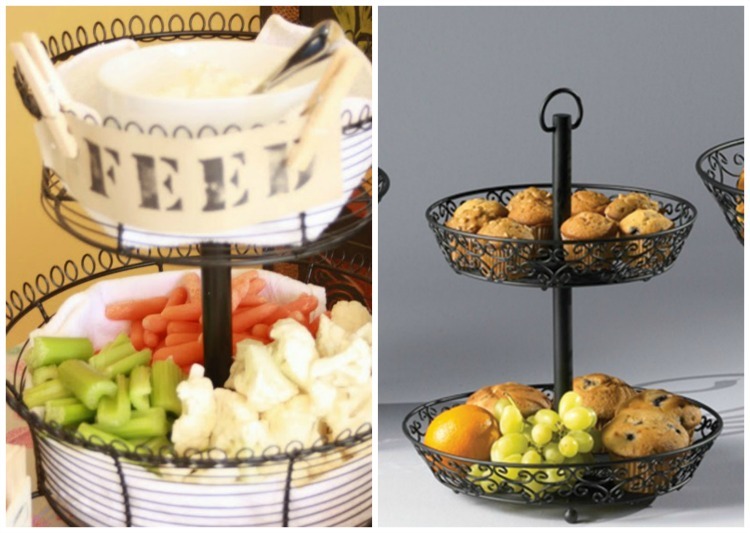 But people are finding other very useful and beautiful ways to incorporate them into our daily lives. 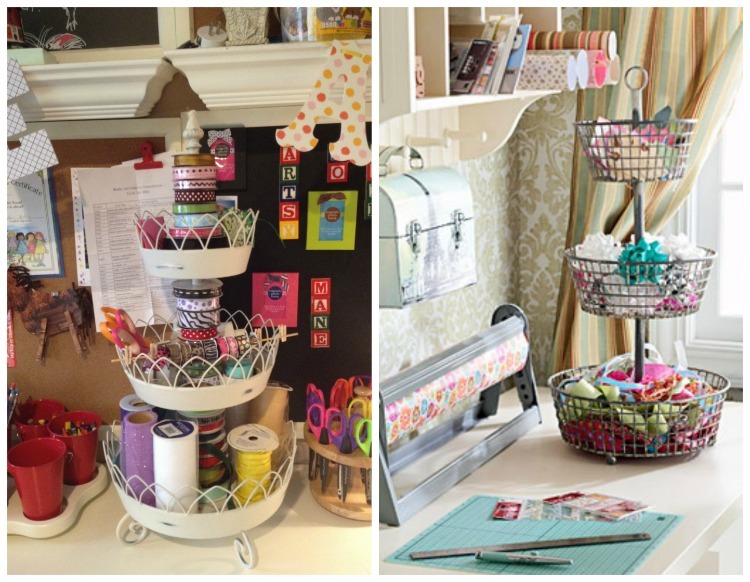 For example, they make wonderful storage for your craft room or office. 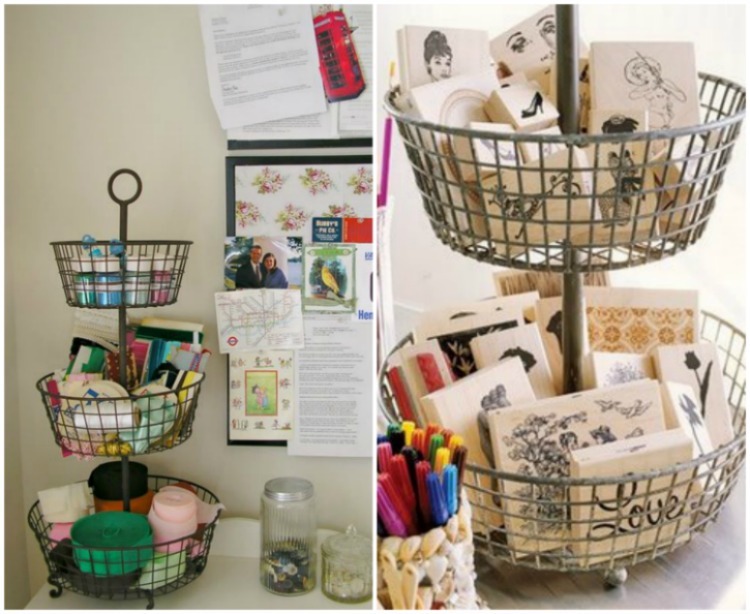 Can be used in the nursery to keep everything needed for your baby on hand or to store your kid's art supplies. 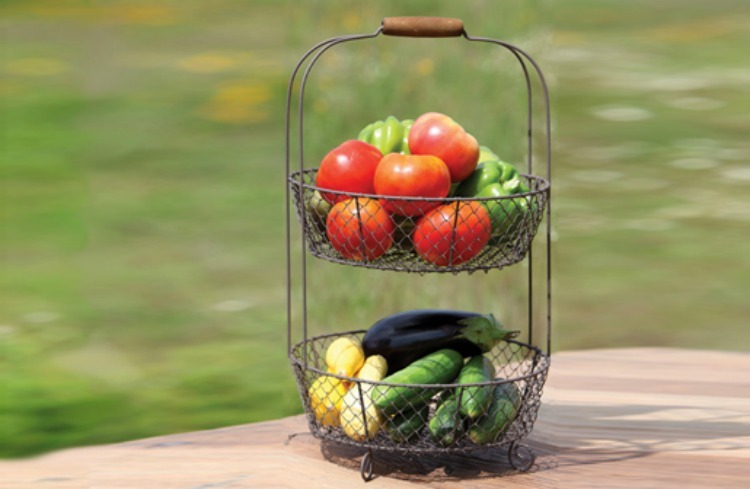 To carry fresh veggies in from your garden. I love these ideas! I think I will use them on our next family get together. And how about for seasonal decorating? 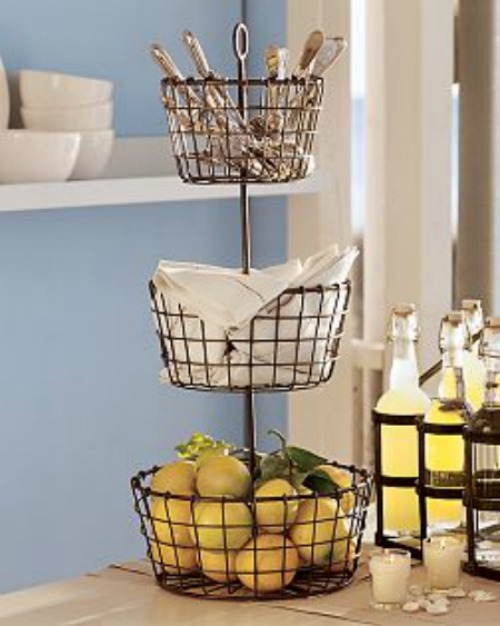 These are some gorgeous baskets! 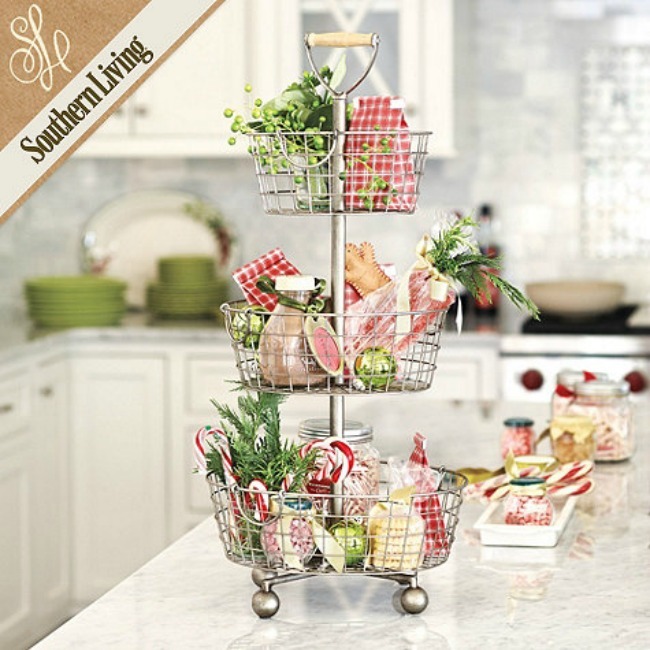 I hope you enjoyed all the beautiful inspiration and I that this post gives you some ideas on how to use your tiered baskets around your home. This week is going extremely fast for me, I blinked twice and it was Thursday :), I guess that's not a bad thing! I have been meaning to do a post about this gift I received for my birthday back in July from my husband. And that iPad has become such a part of my daily life. I use it for everything, reading, listening to music, checking on the blog, well, just about everything you can do on your desk top computer. Half of the time I have it within arm reach, specially in the kitchen. While I am cooking, I use it to look up recipes or sometimes I connect live with the television station from Madrid, Spain and watch their evening news. And now, I have this little toy to help make my iPad experience a little better. 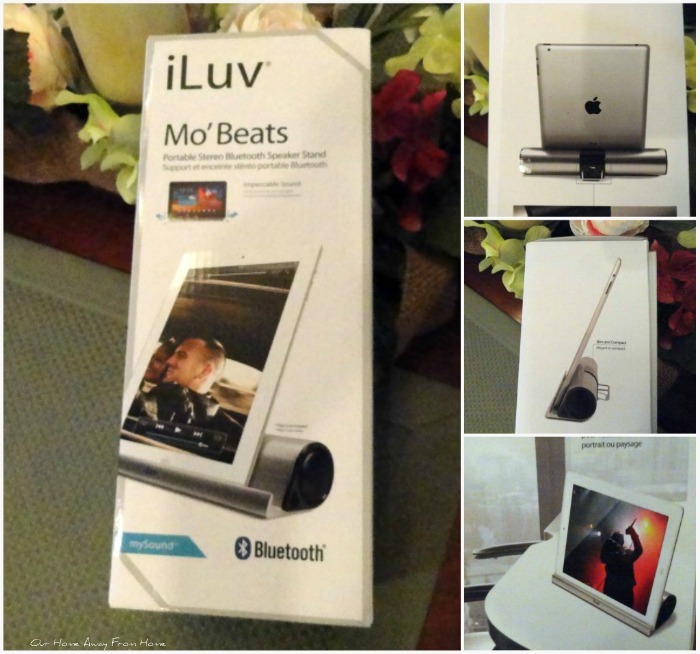 It is a Portable Stereo Bluetooth Speaker Stand. Let me tell you, I had no idea this existed, LOL but it sure has been a nice addition. It takes a couple of minutes to sync it with your iPad and because it has Bluetooth, there is no wires involved. You can move it anywhere you want without worrying about having to plug it in. I charge it right on my computer. I have my iPad inside a magnetic case, so I worried at first that I was going to have to remove the case to be able to use my new stereo stand, but that was not the case, it works just fine and when you are done, you just grab it and go. And the speakers are amazing! Most of the time, I have to keep the volume half way. If you are wondering, this is not a sponsored post, just my humble opinion on a great little product. It looks beautiful and it is the perfect fit. I will share some pictures with you all soon. Tuesdays at Our Home is still live and going strong. Stop by for some beautiful inspiration! I will be back tomorrow with the top viewed links of this week's link party. and see what I could come up with this year. 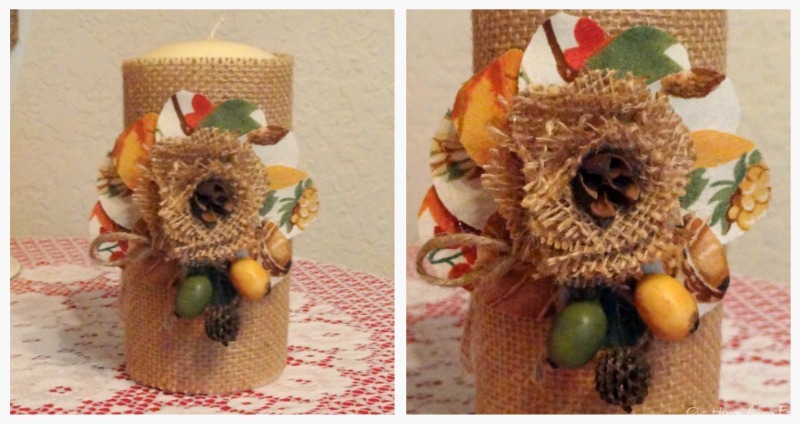 I don't have much Fall decor, but I am on a mission to use as much as I can from what I already have at home. So far, I have cleaned and refreshed my front door wreath. Made some fabric flowers and did a little stenciling on burlap. I also made some pillows using left over fabric I already had. I am working now on making a couple of new crafts. And the sunflowers and pumpkins are out of the bins and ready to be displayed in pretty vignettes around the house. 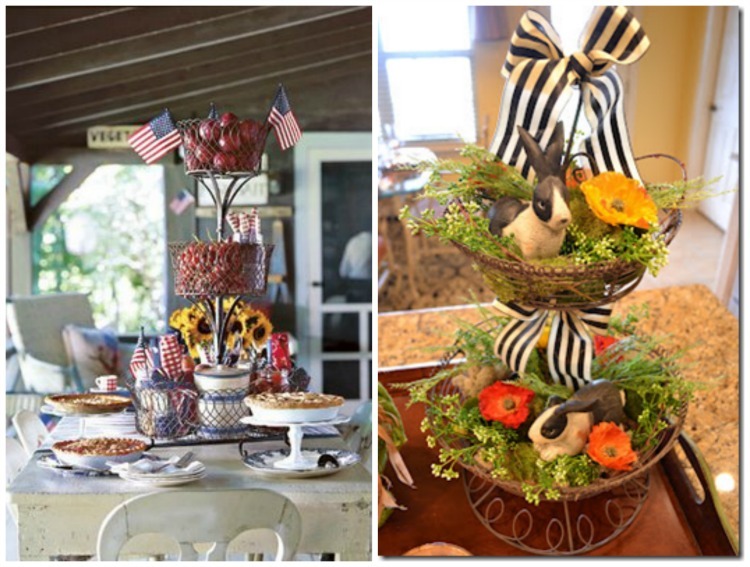 I would love to hear how you are preparing and when do you start decorating your home for Fall. 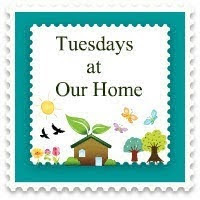 Tuesdays at Our Home link party is still live. I would love if you stop by for a visit. Ours was crazy busy. We shopped and shopped for a new range/stove. Wow! So stressful! We did our research last week, read a thousand reviews, I mean, lets face it, we don't want to be buying a new stove every year, as a matter of fact, the one that just went out we only had it for five years. They sure don't make appliances like they used to. My mom had the same stove for over 20 years and still working just fine. My blogger friend Diana from Nana Diana emailed me and advised me to take a look at Consumer Reports before we made the purchase. I followed her advice and were able to get a clear look at what would be the best choice. we also liked very much the clean and modern lines. 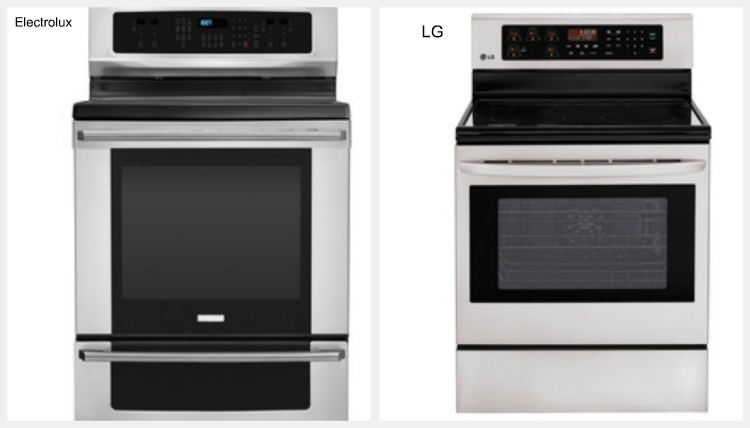 We opted to buy the one with the double oven, since we believe it will better meet our needs. So here we went, in search of this particular stove, but it couldn't be that easy, of course NOT. Every store we went to this stove was on back order. Unbelievable!!! After searching all weekend, we were finally able to find it at Best Buy and it will be delivered this coming Wednesday. Are you guys ready for another fun party? Can't wait to see what projects you have been working on this week! You can link up any posts that are home decor, gardening, crafting, painting, sewing, cooking,or DIY related. -Please put a link or my party button on your post. -No link parties or advertising, please. I would love if you become a follower of my blog, but it is not mandatory. Thank you so much for taking the time to stop by for a visit! It has been a long week for me, between repairs and errands, I have not had a minute to myself, so I am glad the weekend is almost here. But, before the week ends, lets take a look at the top viewed links of Tuesdays at Our Home#24. The most viewed link this week was Pinky's from Designs by Pinky. She shared with us the most beautiful Seaside tablescape that she put together for a dinner party at her home. Every detail is just gorgeous! 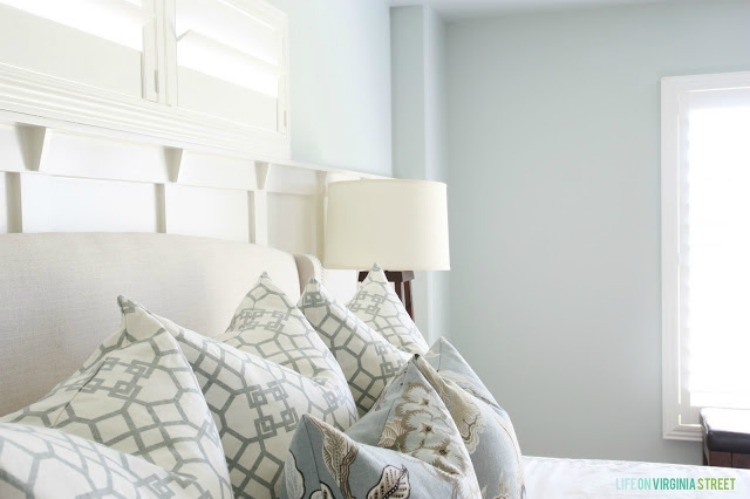 Life on Virginia Street revealed her newly painted Master bedroom with SW Sea Salt. Gorgeous color! It looks so beautiful with her bedding. 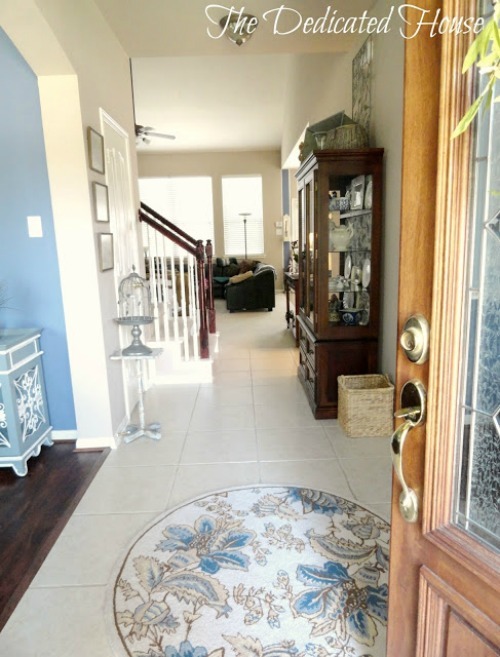 Kathryn from The Dedicated House gave us a tour of her recently finished entryway. So pretty and welcoming! I have been in love with her rug for quite a while now. :) Gorgeous! 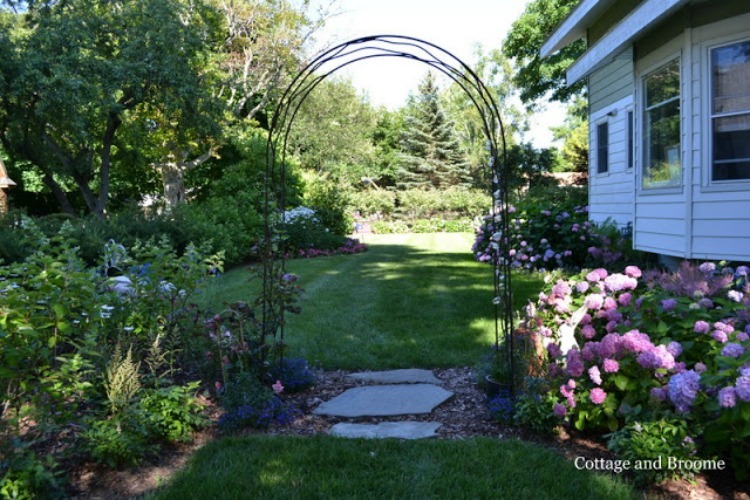 Laura from Cottage and Broome shared with us the before and after pictures of her garden. It is absolutely gorgeous! You just have to go pay her a visit! 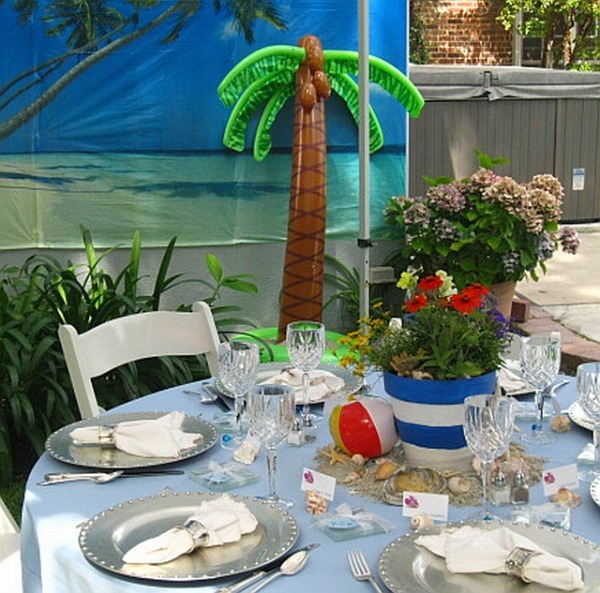 Cindy, from Sunset Coast shared with us the beautiful backyard wedding shower she helped organize for her best friend's daughter. Love the beach theme. How pretty and original! 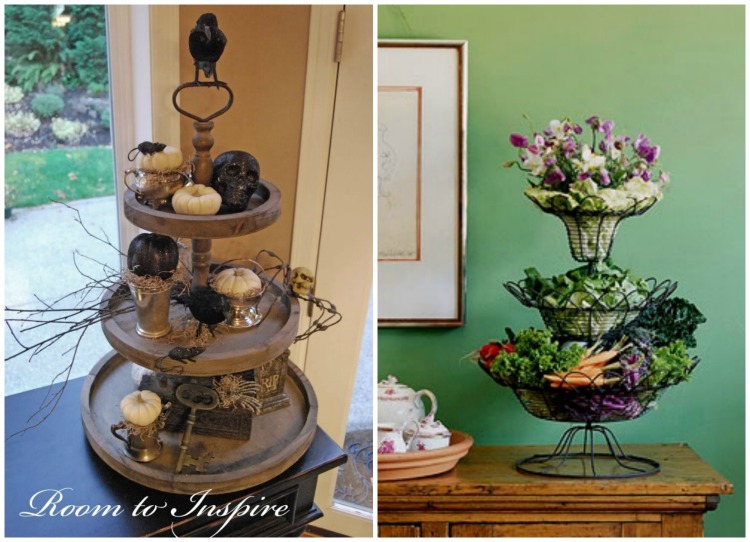 Every Little Birdie shared how she re-purposed a great find while junking at the coast. So pretty! I love how it looks by her front door. for another great get together. Ours has been different for sure, and to top it all, my stove broke today. Wow! When it rains, it pours! We just finished repairing one of the AC units that decided to quit when it was 105 degrees outside. So now, we need a new stove. The oven won't even heat up. Guess what we will be doing this weekend? We are already looking around trying to make the best choice and stay within the budget. We want an electric range with glass top. They are so much easier to keep clean. Stoves have changed a lot in the last few years, so many choices and different brands. 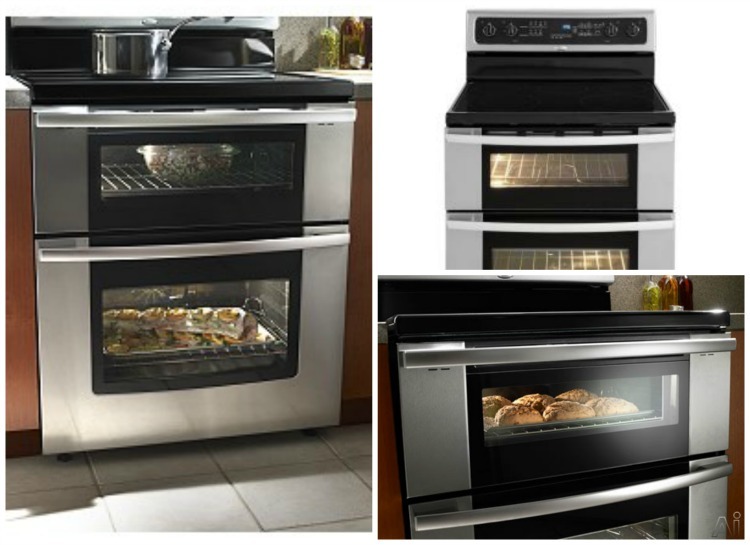 I really like the new double oven ranges, two ovens will really come in handy during the holidays, but then I wonder how easy/difficult will be to get the food in and out of the bottom oven. It looks really low to me. Here are some samples of the ones we liked the most. I am favoring the LG brand with their new shelf cleaning interior. And the third choice will be the freestanding ranges which, by the way, have come a long way. now was not such a bad time. I would love to hear your thoughts or experiences. Any advice will sure help. 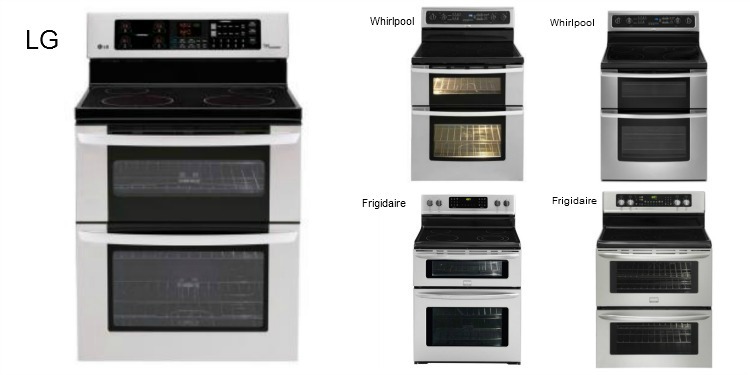 Have you purchased a new range/stove lately?